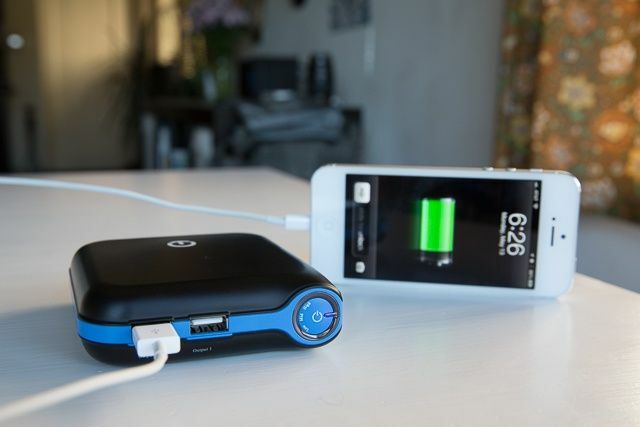 Travelers, campers, heavy users, and those who spend a lot of time away from outlets know when you rely on your iPhone for work or play, it’s not making it through the day without at least one partial recharge. Especially with all the hip Vining and Instagramming we’re all do these days. 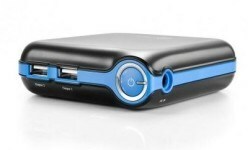 For those who need a lot of portable power to-go, New Trent’s iCarrier, as the highest capacity portable charger they make, promises not just one smartphone recharge, but up to six. Six! 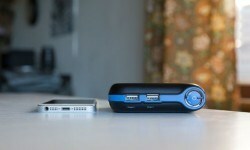 I devoted my iPhone 5 to iCarrier-only charging to see how well the big boy performed. With a 12,000mAh battery in its belly, the iCarrier won’t just power your puny iOS devices—it can jump start your Honda. Ok, I made that car part up, but iCarrier, with its giant internal battery, is built to handle your plethora of portable gadgetry. New Trent promises iCarrier charges most smartphones up to six times before it needs a charge of its own, but with its massive 12,000 milliamp capacity, I was also interested to see if it could fully charge my battery-packed Retina iPad. And as is common with packs this powerful, one measly USB port doesn’t cut it, so iCarrier features two dual-amp USB ports, each able to charge either an iPhone or iPad. Taking it a step further, New Trent says charge times don’t slow down when two devices are plugged in. Six and a half charges—that’s how many top-offs my iPhone 5 got from the iCarrier. That’s impressive. Now, I usually start charging my phone once it gets down to about 10-15% battery life, but regardless, iCarrier delivers on its promise to charge your phone 6 times. That’s power for days. How about my iPad? Well, with about 9% battery life left, iCarrier was able to take my iPad 3 way back up to 92%. That’s more than any other battery pack I’ve tried, and another excellent performance. iCarrier’s portable size makes it super easy to stow and carry, too. I’ve tested power bricks that have odd shapes which make them hard to stash. Though thick, iCarrier’s smart shape allows it to easily fit into most pockets or pouches into which it was shoved. About those dual USB ports: I did notice a small slow down in charging speed with two devices plugged in at once, but nothing big, so that’s another win. I do wish iCarrier didn’t require its own charger, though — that’s another charger to add to the bag. I also would love a power indicator with more than 3 lights. Those don’t do a great job communicating how much power is actually left. The Good: Days of portable, totable, compact power. The Bad: Can only be recharged with its own AC adapter. 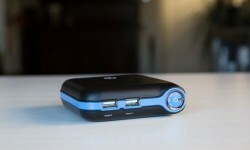 The Verdict Tons of portable power in a compact size makes iCarrier easy to recommend.